I can’t believe that this year is over already. It seems like just yesterday we were reading Pete the Cat on the first day of school and making our magic play dough. It’s crazy how quickly time seems to fly! I honestly think one of the greatest gifts teachers have is the ability to reflect on their years and tweak the things that didn’t quite go as well as we had envisioned. Summer is a great time to take a deep breath and to reevaluate why and what we do in our classrooms. Today I am reflecting on the beginning of the year– specifically the first day of school. I can now look back on how far these first graders have come and look to see what I could do better next year. (This is how we all grow, right?) If we always do things the exact same, we will never improve and our students won’t be getting our BEST. Looking back, I look for things that I like and things that I want to tweak. I look for things that I did that really helped my kids and things that I could have done better. 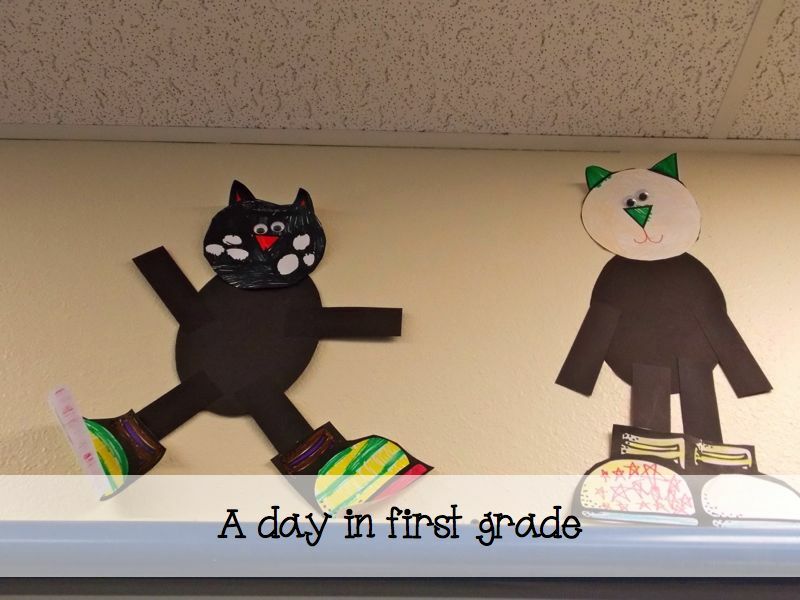 Last year, I started the year with Pete the Cat. My class LOVED it. I mean they were head over heels in love with it. We read a different Pete the Cat book each day and then did activities to go along with the books. We even created these really cute Petes to decorate our classroom. 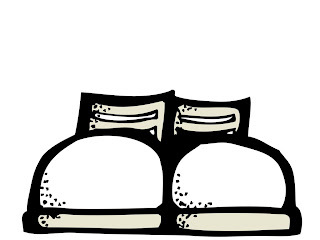 If you would like the craft, just click on the shoes! I printed the body and the arms and legs onto black cardstock and had my first graders color and cut out the shoes and the head. I always start with a “getting to know you” activity, too. I use this time to introduce a Kagan structure called Mix and Mingle. I give all of my students a clipboard and they each have a survey. I turn on some fun music (usually a Disney song or a song by Joe Scruggs) and while the music is on, my students can dance around the room, but once the music stops, they must find a friend. Once they find a friend, they must both answer one of the questions on their survey. This is a really great way to get your students mingling, releasing the nervous jitters, and building classroom community. I will definitely do this again. I also use the first day to quickly assess our CVC skills. We use play dough to create a few different CVC words and I walk around the room to see if my students start forming their words from the left to right, if they can read the words, and if they can follow directions. 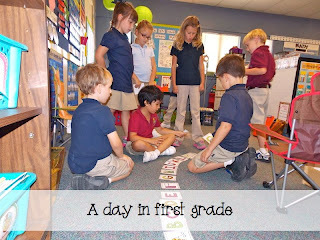 We also play a few “line up” games on the first day of school. 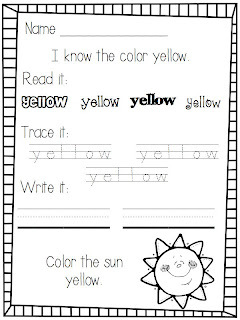 This encourages students to talk to one another and work towards completing a goal. The picture below shows my students working together to put the alphabet in order. 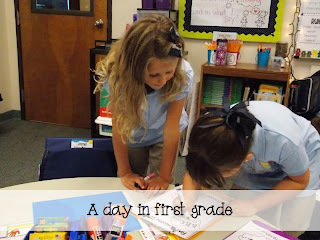 I really liked how all of these lessons began to build such a sweet community in my classroom. I will definitely use them again next year. Now, what will I tweak on the first day and week? 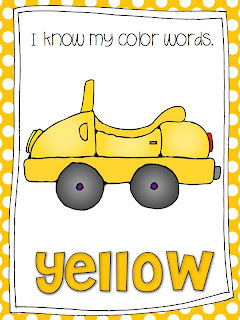 This year I noticed that my students came to me not knowing how to read and spell their color words. 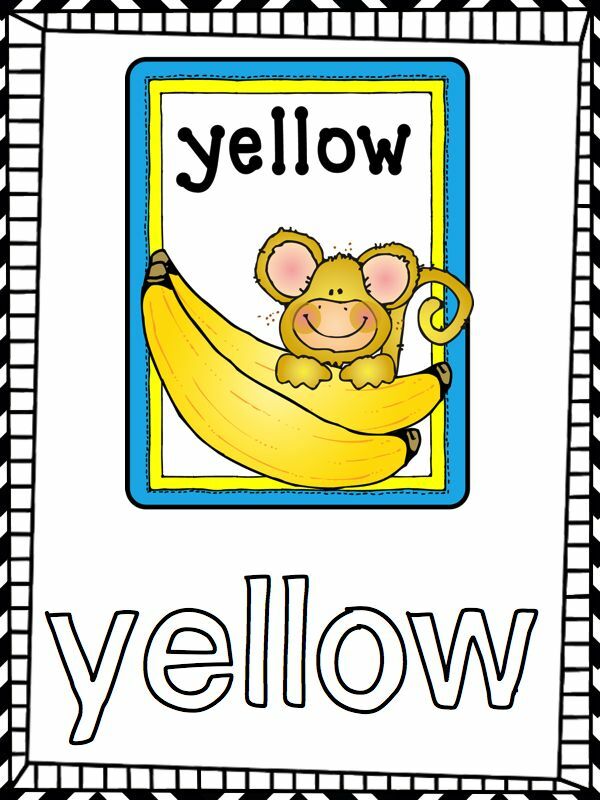 I have been working hard to create some new center activities to help my first graders master their color words during the first two weeks of school. 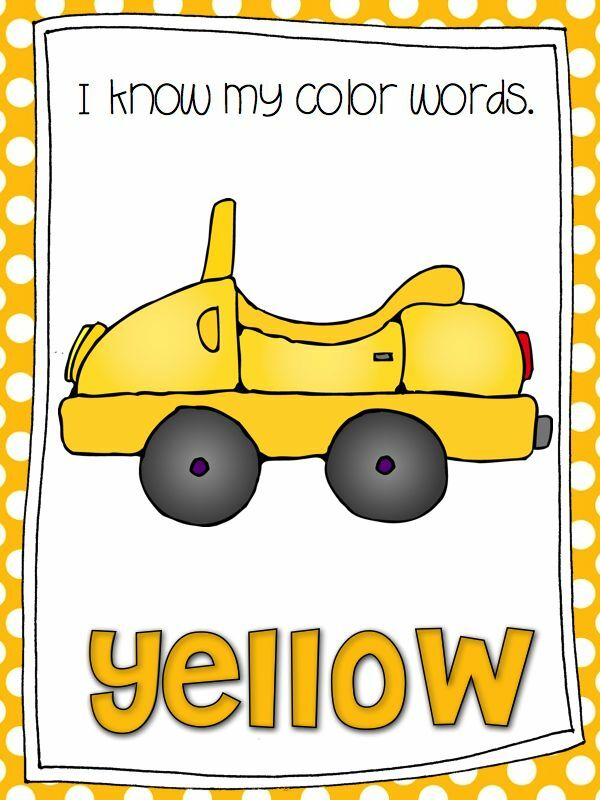 I created this “I know my color words” packet to help with this area of weakness I saw in my first graders. 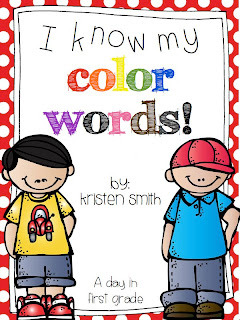 The packet includes color posters, letter tile work mats, play dough works mats, worksheets, and each color has its own mini book for you to create with your students. 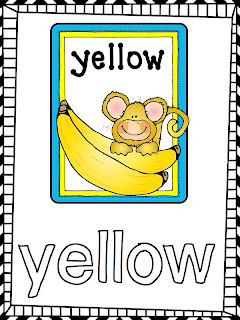 It has 112 pages of color fun that I am sure will help my students in this area of weakness I noticed this year! If you would like this packet, leave me a comment (including your email address!) and I will use a random number generator to select TWO of you who get it for free!!!!! 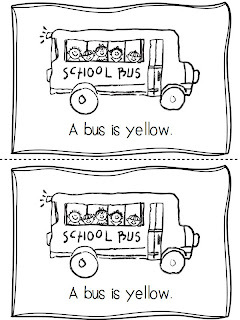 I also noticed that even though our friend’s names were our first spelling words, my students did not master the spelling until much too late in the year. I will really focus on us knowing how to read, write, and spell our friends names during the first two weeks of school next year. I hope that you are all enjoying a relaxing weekend and that those of you on summer vacation are resting! Those of you who are still in school, you can do it! Finish strong!! The packet looks great!! Thanks for the freebie. I also like to reflect and plan some changes for the next year while it is all still fresh in my mind. Your color unit looks great! So much fun packed into the first day! I’m excited to hear about the new changes you make. 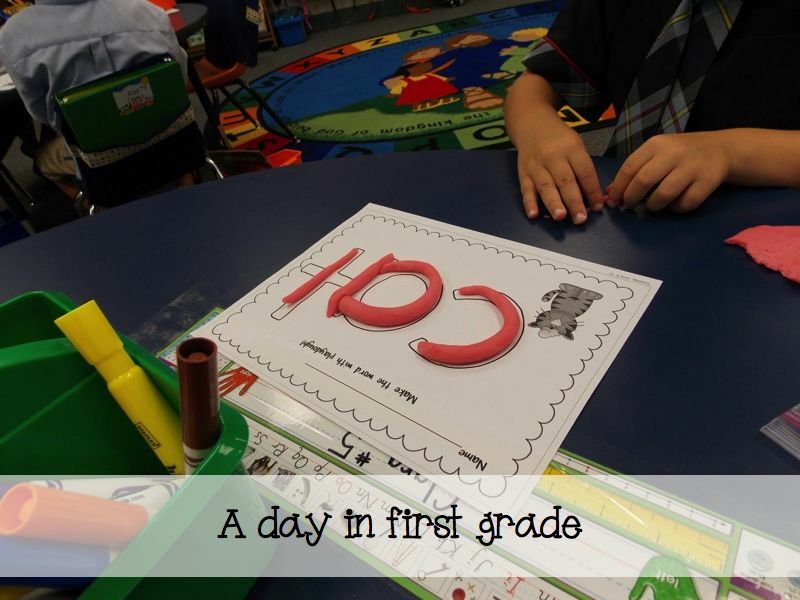 I am looking forward to my first every first day in September! It’s going to be crazy fun! Such a wonderful idea to start the year off with and so well made! 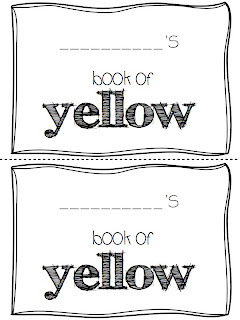 Love the color words – we always start the year off with them! Thanks for sharing with us! I love your ideas. 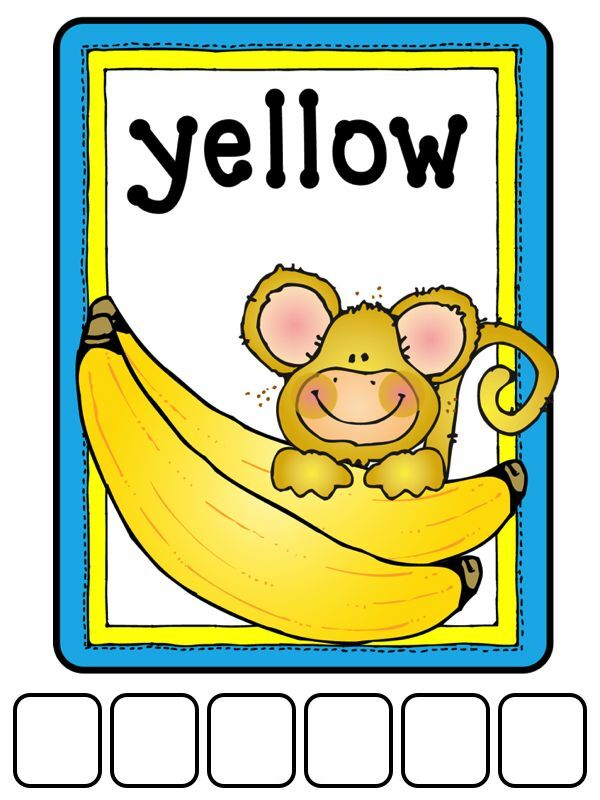 Your color word packet is really cute! I would love to have it! Thank you for the freebies and great ideas. I love the mix and mingle idea! I completely agree with you when you say summer is a great time to reflect and tweak how you teach. I will be doing that this summer!! 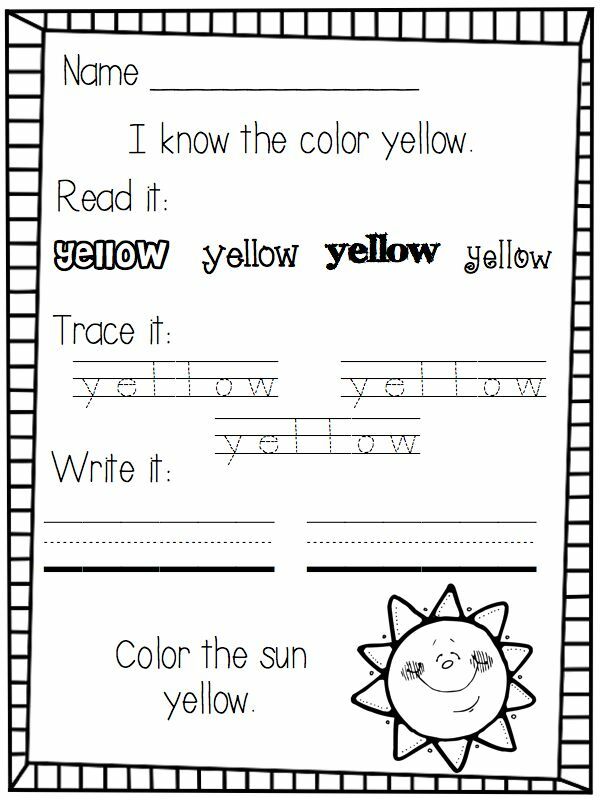 🙂 Thank you for the freebies and I would lover to use your colors packet in my classroom. Have a great summer!! This looks awesome. I know the kids will enjoy the playdough building activity. I am moving to Second Grade next year but I’ll be a dual language teacher and I will be teaching native Spanish speakers to read and write in English. I think this will be perfect for them :). We loved Pete, too! 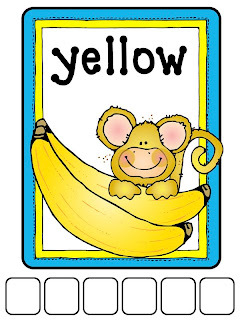 This color unit would be a great review! Thank you for the cute ideas! Your color packet looks great! 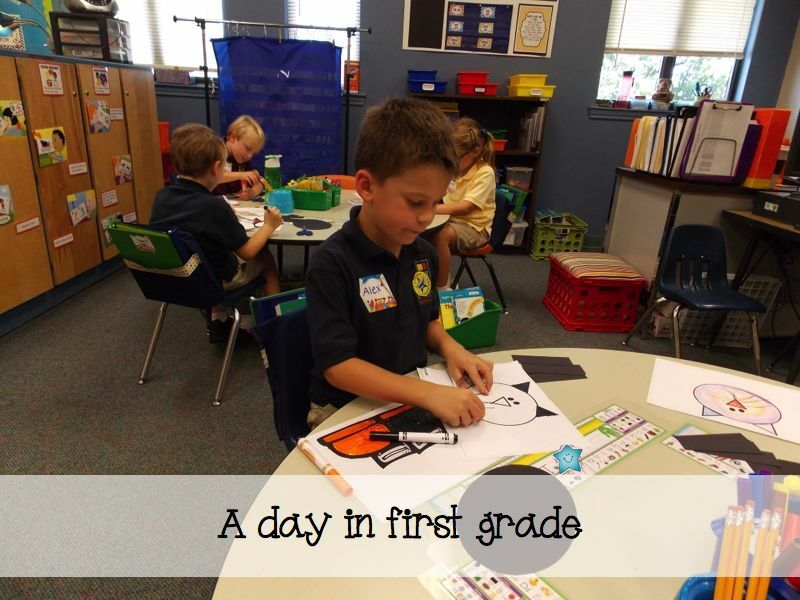 Love your first day activities! Sounds fun 🙂 I would love this packet!! I looped with my kiddos to 2nd and am returning to first grade this upcoming school year. I was trying to reflect on all I did 2 “first week”s ago. 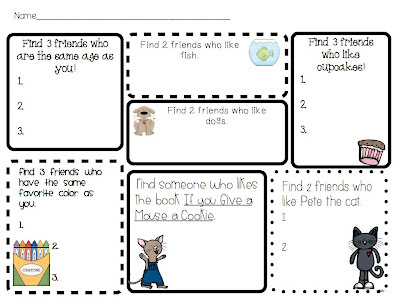 I love your ideas and think I will challenge my new students with your Find a Friend activity. I am also going to tweak your Pete the Cat to a pirate one to match my theme. I hope I win your packet. 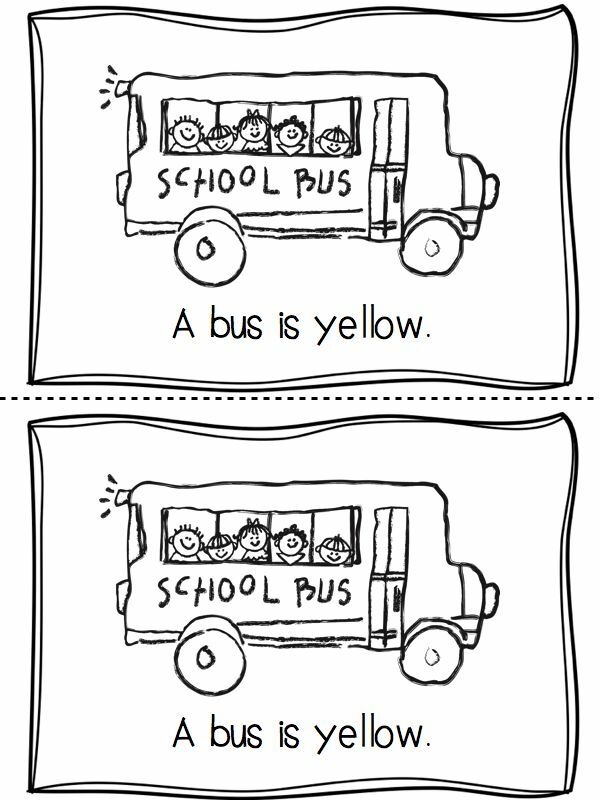 Color words are difficult for so many!! My summer will also be reassessing and tweaking what is taught, especially since we will have a new evaluation tool this coming school year. I would love to win the packet. I would love a copy. Thanks so much! I am moving from k to first and would love this packet!!! You have so many wonderful ideas! This would be great for the beginning of the year!! We love Pete too!!! I have 17 more days of school and I am already thinking about the new school year too!! Looks awesome! Would love to get it! I love that you are thinking ahead to next year already! Me too!!! 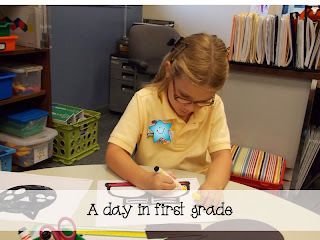 What cute ideas for the first day of school! I would love to get that color pack. 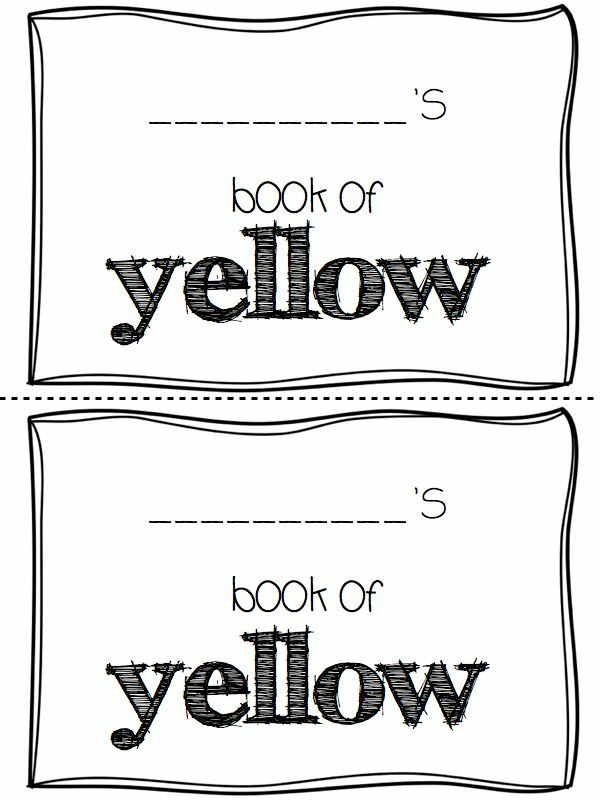 In my kindergarten class the students need to know color words by the end of the year so this pack would be GREAT to help them achieve that! What great Ideas!! I would LOVE a copy of your color packet- it’s too cute!! 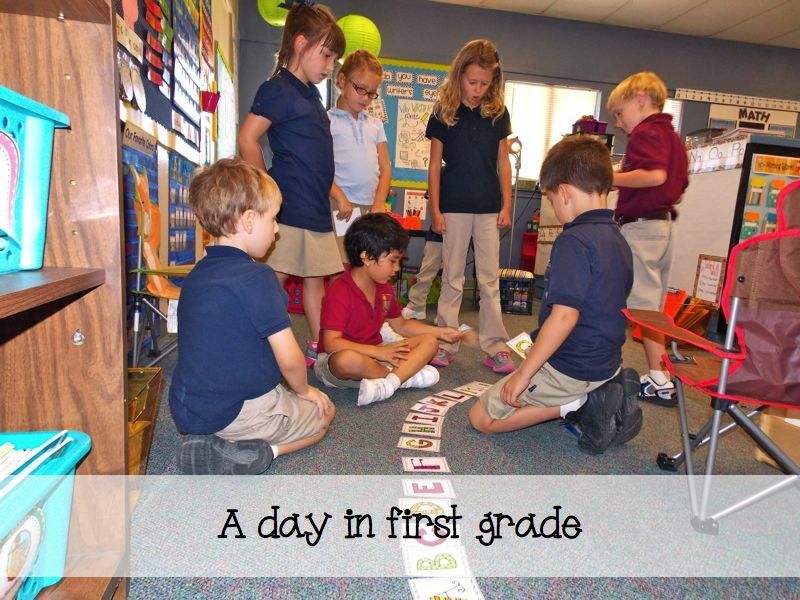 A great idea for the beginning of the year!